The peloton sustained an outrageous speed in the opening hours of racing. This was because it was pursuing Tony Martin. Martin does this fairly regularly, usually as a kind of unofficial training ride. The finest example was in the 2013 Vuelta when he rode alone all day and almost won. It seems to be how he tunes up for the World Championships Time Trial. Perhaps on this occasion, he was looking to build form for the Olympics. For once, he had company. Team-mate Julian Alaphilippe managed to join him and largely sat in his slipstream for a hundred miles. They were eventually caught. Even with Tony Martin they were always going to be caught. We then got some ups and down, lefts and rights, and even a few cobbles as the spring classics riders came to the fore. Despite his timeshare on the green jersey each July, Peter Sagan is fundamentally a classics rider and he duly won – his third stage victory. He edged out fellow classics man, Alexander Kristoff, who neglected to lunge for the line because it apparently crept up on him. 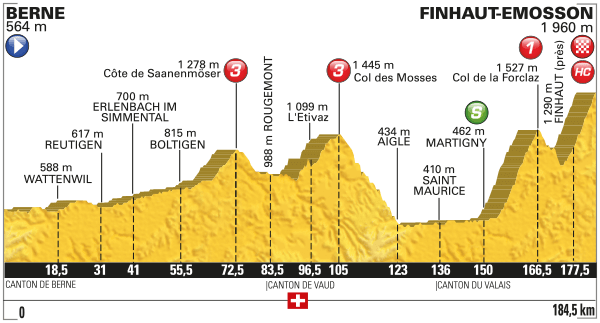 But I might do a preview of stage 17 anyway because by this point in the race, I rather fancy a rest day myself. The wickedness begins. It’s non-stop this week. 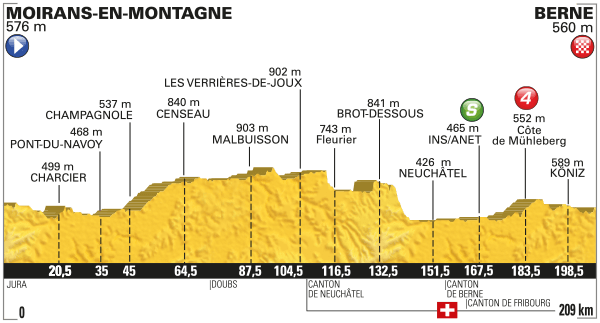 One of the few summit finishes of this year’s race, the final climb is 10.4km at 8.4% but that comes hot on the heels of 13km at 7.9%. It is a day for the overall contenders. Every day this week is a day for the overall contenders. Delicacies of this region include Ovomaltine, which sounds like Homer Simpson saying Ovaltine but which is in fact… Ovaltine. It’s the Swiss name for it. Over the border and back in France, delicacies include Raclette, one of France’s mountain cheeses.